Drunken TV news cameraman Jake Garner thought he was tackling an intruder. But no, Jake just took out the fantastically attractive dog sitter. Mortified, Jake does what any man would who has just been dumped right before Christmas would do—give the offended party all his ex's things. Meanwhile, Blue Jones is determined to do whatever it takes to get her grandmother the best cancer treatment possible, even if that means some high-rise burglary from one of her worst dog-sitting clients, the failure to walk, feed or book a pet-sitter for a three day weekend, Grace Lorra. But Blue didn't count on Grace's ex, Jake, showing up and drunkenly handing over all of Grace's belongings— including her adorable French Bulldog, Jacques. It takes no time at all for Blue to fall in love with Jacques, but Blue also finds herself wondering if it would be so bad to return to the scene of the crime to reconnect with Jake. But as Christmas draws closer, Grace pressures Jake to return the dog and Blue is targeted by mysterious assailants. Can Jake find Blue and Jacques before her stalkers do? And can Jake and Blue stop these mystery men without also getting Blue arrested for theft? 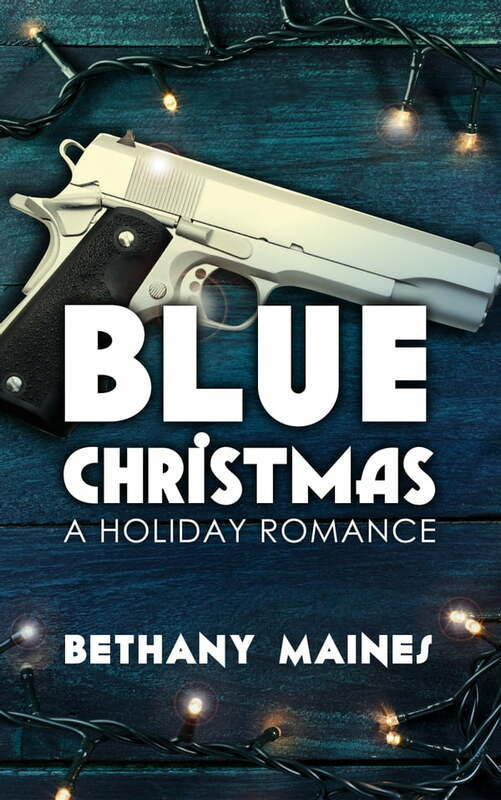 For Blue, Christmas has never been quite so dangerous. For Jake, Christmas has never been quite so Blue.